Ealing Cleaning Company offers a wide range of 5-star commercial cleaning and domestic cleaning services – all done at affordable rates. Dial 020 3389 8881 now for a free estimate. To ensure your office is a safe, professional and welcoming space in which to work, you need our staff, London’s most highly trained and completely reliable office cleaners. We provide you with professional, high-quality commercial cleaning services. We offer daily, weekly, fortnightly and one-off office cleaning and schedule appointments to suit your working hours and needs. Our employees are renowned for delivering outstanding results every time. As well as skills, expertise and experience, our cleaners use state-of-the-art cleaning technology. Our window cleaning experts are available throughout Greater London and work seven days a week to provide you with flexible appointment times. Our services provide you with sparkling windows every time. Our professional cleaners never invade your privacy or disrupt your life. Our cleaners use a water-fed pole system that allows them to clean windows, skylights and conservatories from the ground. That means they don’t need to use ladders, which eliminates the risk of damage to your property. Free yourself from house work and let our staffs do it all for you. Our team is not only fully trained and vetted, but they are highly experienced as well. Our cleaning staff accomplish a full range of domestic tasks – from mopping hard floors and vacuuming carpets to dusting, polishing and doing laundry. They can also do one off jobs (like spring cleaning) whenever you want. Having your carpets and rugs professionally cleaned on a regular basis ensures they look great and also last a lot longer. We offer domestic and commercial carpet cleaning services throughout London. Our professional carpet cleaning service will restore tired-looking carpets and rugs and remove dirt, stains and bacteria. Our cleaners are qualified to carry out both steam and dry cleans safely and effectively. Our crew is fully trained in floor cleaning, equipment use and work to the highest professional standards. 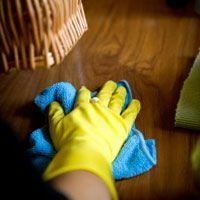 They use non-toxic cleaning agents to ensure the safety of your children and pets in your home, and your workers and clients in your office. Talk to Ealing Cleaning Company and ask about our cleaning prices W5 now on 020 3389 8881.